You probably don’t know it yet, but your new favorite restaurant is just down the street. Neighborhood restaurants have been around forever, offering convenience and reliability to their neighbors, but now there’s a new breed popping up around Atlanta. Visit these two new eateries to experience chef-driven cuisine without venturing too far from home. 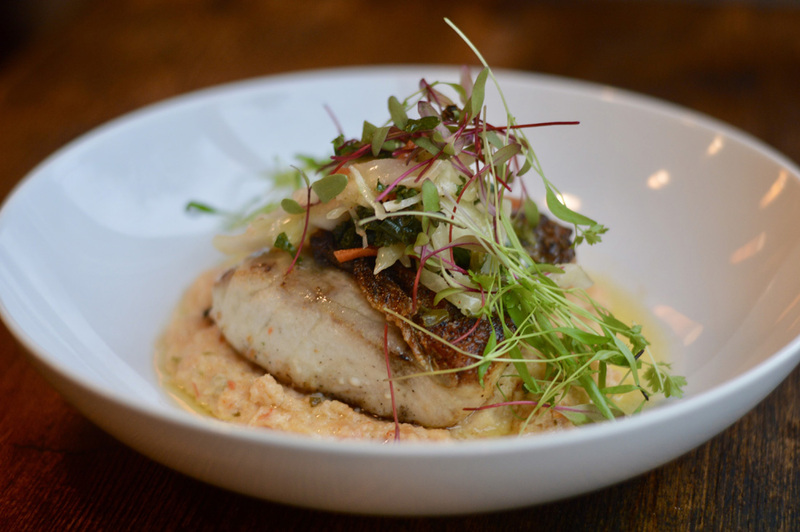 Twisted Soul’s panseared red fish with jambalaya grits, moonshine butter and kale-and-cabbage cole slaw. Tucked away off the main drag of the Westside you’ll find Twisted Soul Cookhouse and Pours in its new home. The creation of Chef Deborah VanTrece, Twisted Soul relocated from Decatur this past winter and exudes warmth despite the industrial vibe. After searching for the right home for her Southern-inspired restaurant, VanTrece found that the Westside just made sense. 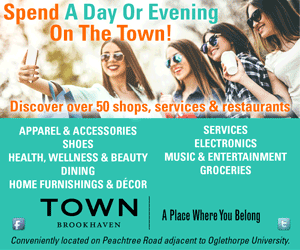 The area is experiencing exciting growth and offers a luxury that the original location didn’t have: parking. Conveniently, the restaurant is nestled in a mixed-use development, so it’s easily accessible to the surrounding residents. It’s okay if you don’t live in the ’hood, though. “We want to be a gathering spot where people in the neighborhood can meet people outside of the neighborhood,” VanTrece says. The chef and her team dish up modern “twists” on soul food: black eyed pea salsa appetizer and pan seared red fish with jambalaya grits and moonshine butter. Her wife and business partner, Lorraine Lane, oversees the cocktail menu, and her gin mule pleases the palate with a concoction of gin, muddled mint and ginger beer. 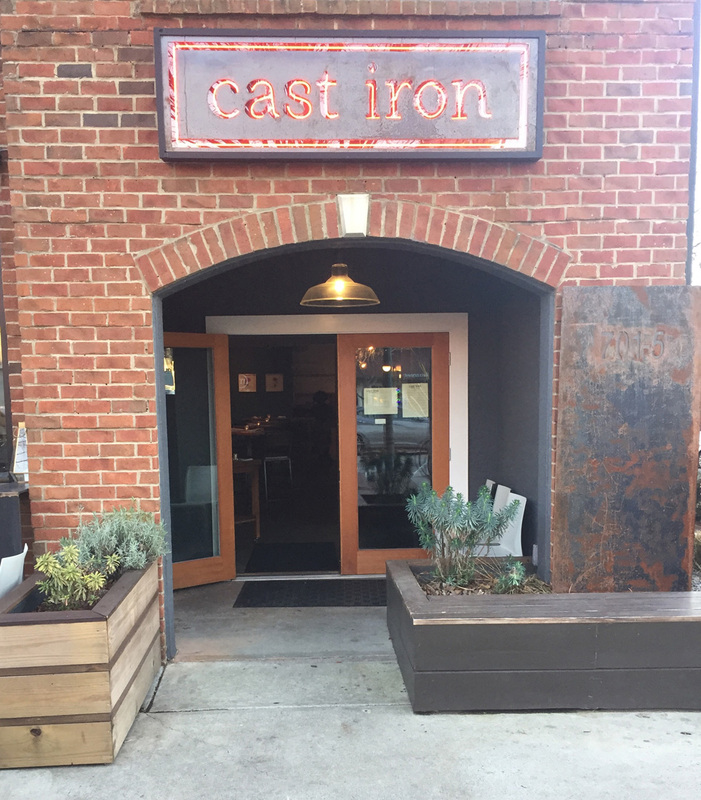 Chef Evan Cordes’s Cast Iron in Old Fourth Ward. 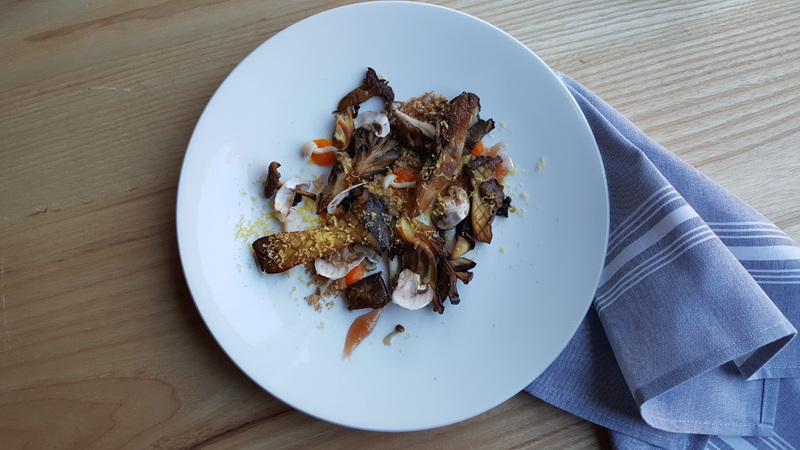 Cast Iron’s “bunch of mushrooms” with sherry, balsamic, bread crumbs and cured egg yolk. In the Old Fourth Ward, Cast Iron finds harmony between approachable pricing and high-end offerings. The menu is concise with only 15 items, each one shareable and focused on seasonal ingredients. A “place where people can celebrate or commiserate,” Chef Evan Cordes wants his restaurant to be an all-occasions kind of place and created dishes that aren’t relegated to celebration-only outings. Much like a cast iron pan itself, Cordes wants his restaurant to be an all-purpose staple. Slide into one of the comfy booths and order a few plates to share. Try the king trumpet and oyster mushrooms with sherry, balsamic, bread crumbs and egg yolk, or the cider-brined pork ribs with cabbages and white sauce. The cocktail menu is also thoughtfully curated and smartly priced, with drinks just $8 each. Creative quaffs include the Bird Calls with mescal, Campari, sweet vermouth and peanut— an eclectic mix of flavors that somehow work.